We are offering a wide range of Atomizer Water Automizer Humidifiers. It can be used in ducting to generate humidity. 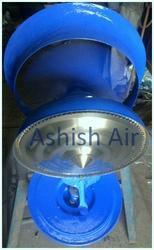 Ashish Air Make "Centrifugal Spot Humidifier" Unit (Equivalent to Benson Fan) Unit is run by specially designed 3/4 HP high-speed electric motor that is suitable for 400/440 v. 3 Phase 50 cycles, A.C. Supply Humidifier throws approximately 2400 cfm. 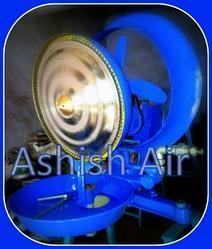 Air & evaporates up to 40 liters of water per hour. Looking for Spot Humidifier ?